Surrounding transport systems subtly shape the patterns of interaction within public spaces. Photo by Dan Nguyen/Flickr. Public spaces function as city halls, entertainment epicenters, informal meeting places, and cultural classrooms for cities. When thinking about what makes a successful public gathering point, things like architecture, historic monuments, and the people within the space come quickly to mind. Although transport generally develops around public spaces, transport systems also subtly shape both the character and societal impact the success of these spaces. This is why some malls, surrounded by vast parking lots and only accessible by car, are struggling to remain in business while others located near transport hubs are thriving. Within the larger field of urban planning, “transport planning” and “urban design” are considered discrete entities, but it is hard to have one without the other. Three public spaces around the world – the Plaza Hidalgo in Mexico City, the Trg Bana Jelacica in Zagreb, and the High Line in New York City – show the interlocking balance between the two disciplines. Their successes prove that transit-oriented development (TOD) doesn’t create cities that allow people move, but also helps create the kind of urban spaces that make people want to stay. 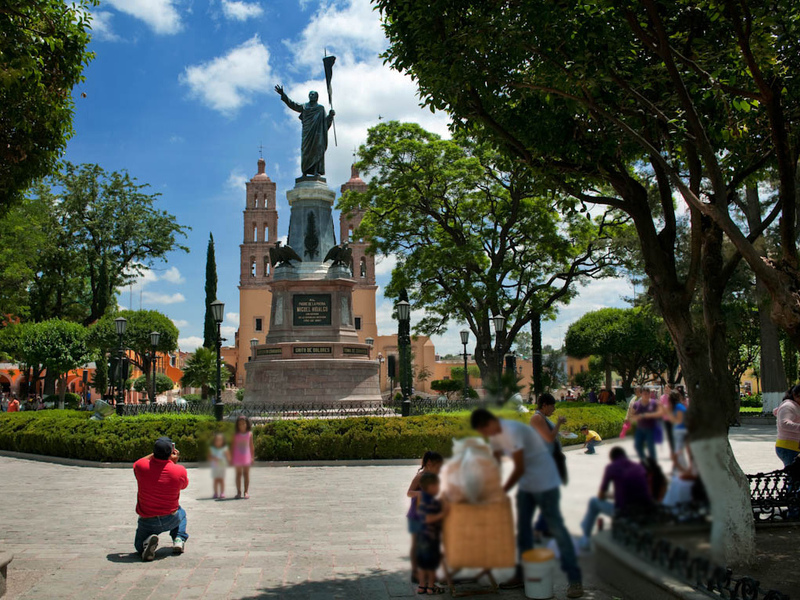 The Plaza Hidalgo is a strong example of how transport shapes the character of public space. The Plaza is accessible by bus, car, trolley, walking, and bicycling, and all users share the street to the plaza, allowing dignified access for all. The plaza also unites very different neighborhoods within the city, for although it sits in the historic Coyoacán neighborhood, it also rests at the intersection of two key commercial roads for the city, next to the smaller Jardin del Centenario, and next to the Casa Municipal, the primary government hub. People from all walks of society use the plaza, from businessmen, to young children, to tourists. These users have in turn shaped the space to their needs, so that the plaza now offers everything from concerts and street vendors to museums and shoe shining stands. Plaza Hidalgo in Mexico City serves as a central meeting point for multiple neighborhoods and transport modes, which contributes to the broad range of residents that come to the plaza and the many ways residents use the space. Photo by gtoexperience/Flickr. Few public squares are as successful as the Trg Bana Jelacica, and few are as central to their cities’ core. The plaza is located below Zagreb’s historic of Gradec and Kaptol neighborhoods, and directly south of the newer Dolac Market. It is also the center of the Zagreb Downtown pedestrian zone. The confluence of different architectures styles gives a unique feel to the square, while the narrow, pedestrian-only streets make the plaza the ideal meeting place. Tram lines bring in residents from both historically Mediterranean and Balkan neighborhoods throughout the city, along with tourists from around the globe, making this a space that represents the meeting of history with modernity, resident with visitor, and young with old. New York’s pedestrian greenway, called the High line, was originally developed as a freight rail line to transport goods quickly into the city. In creating the High Line, the city destroyed large swaths of existing neighborhoods. For a time the High Line was a success, reducing congestion on the streets and reducing pilfering from warehouses. However, within fifteen years, the growth of interstate trucking decreased the need for the rail lines, and the High Line fell into disrepair. The redevelopment of the High Line into a pedestrian greenway through the collaboration of architects James Corner and Diller Scofido + Renfro, the Bloomberg administration, and many community advocates represented both a symbolic and literal dedication towards moving human-centered mobility to the forefront of city planning. Where deserted wharves and dilapidated warehouses once sat, developers are building lounges and luxury apartments around the High Line at a break-neck pace. 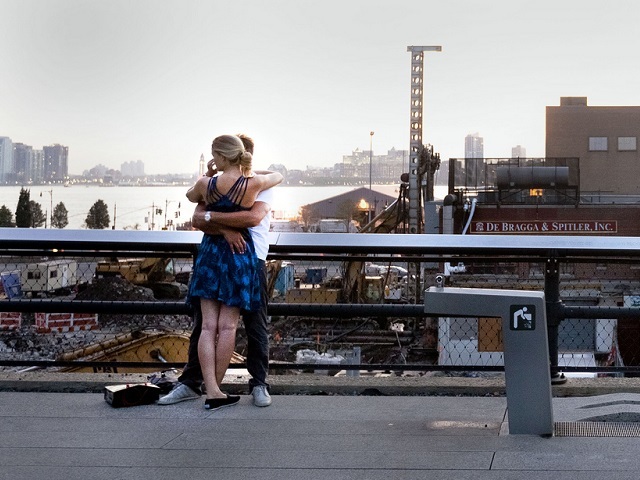 The High Line is both creating human-centered transport between two different areas of the city, and creating the kind of public space that people want to build residences, shops, cultural centers, and a life around. As planners work towards creating both beautiful urban plazas and transport systems that promote accessibility, it is important to remember that it is impossible to create one without influencing the other. Bringing together the two conversations on urban space and transport can help build a synergistic effect between the two, with city residents coming out the winner. What are your favorite public plazas? What systems shape who uses the plaza, and how they use it? Let us know your reflections in the comments!